Waugh Thistleton Architects is a studio with an international range based in London, focusing on the design of buildings that combine high architectural quality and low environmental impact. A mission of sustainability that Andrew Waugh, founding partner together with Anthony Thistleton of the firm in 2005, narrates by explaining what can be done with engineered wood, assembled in panels. 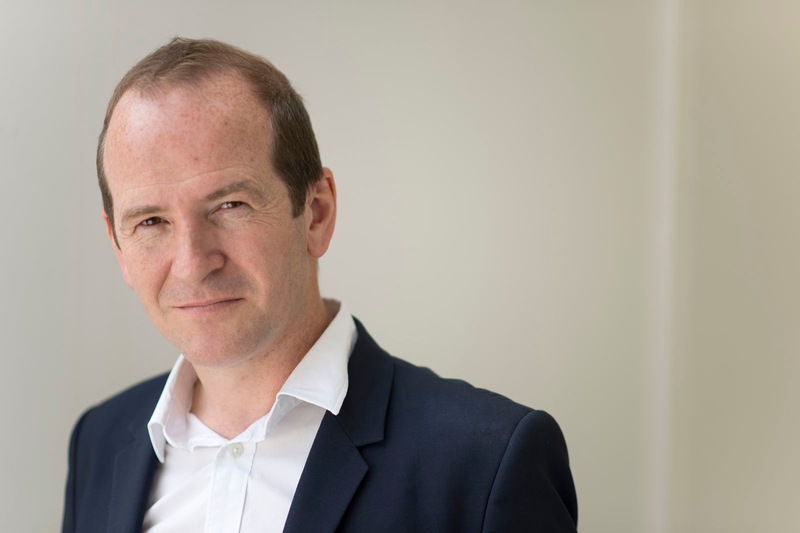 Founding partners, Andrew Waugh and Anthony Thistleton, met studying architecture at Kingston University in 1991, and established Waugh Thistleton in 1997. 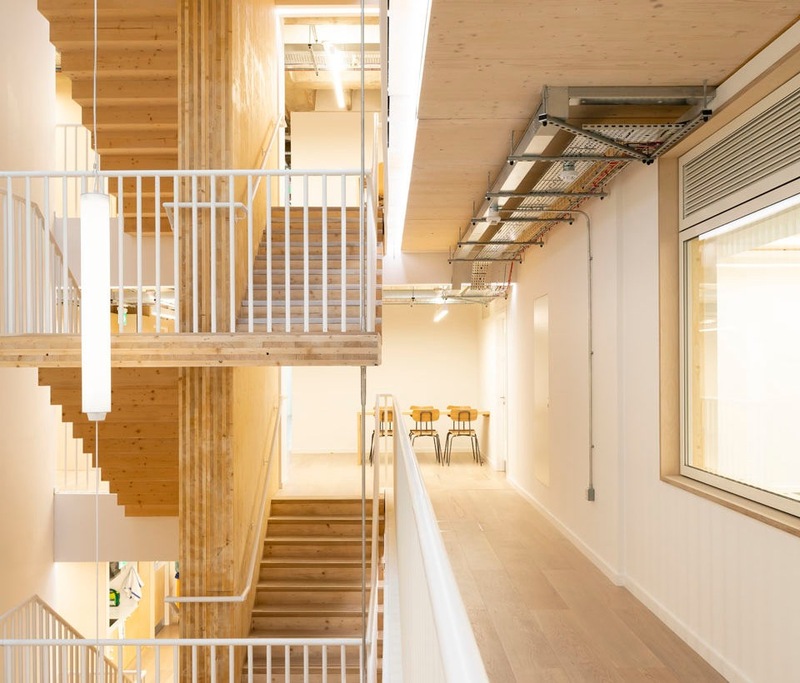 Always interested in developing new ways of building, in 2003 they built their first CLT building, and since then have established an expertise in timber design and construction. Two decades on, their shared spirit of invention unites, and forms the core ethos of the practice, whilst each new architect and each new project helps it to evolve. In your view, what is the value of research in architecture today? It is a matter of necessity, essential for living well today and tomorrow. With climate change and the housing crisis, leading to massive demand for urban construction, we need to learn about new ways of building with new materials that do not damage the planet. Furthermore, industrialization of the construction process can be a great opportunity for architecture. Do the works shown here meet this challenge? Definitely. Each in its own specific way, they address issues of typology and use, as the basis of all our work: to reduce environmental impact. Thinking about carbon dioxide emissions, we concentrate on the use of materials that have low impact and can be regenerated. All wood that is grown in a sustainable way can be used in an innovative way. Hardwood, softwood, laminated, plywood... wood is a versatile material"
In this sense wood, a noble material with a long tradition in construction, is an absolute protagonist in the projects of Waugh Thistleton Architects. What is its meaning in this context? We believe that wood, and specifically CLT cross-laminated timber, is presently the only valid alternative to concrete and steel, which are two of the most polluting materials. What we build contributes to climate change. We believe the industry has to take responsibility, as a whole: more can be done, with less. When we use prefabricated and engineered parts, the construction process is faster, more precise, and quiet. Much of the work is done off site, with dry technologies, eliminating the need for big cranes, so the construction has less impact on the surrounding zone. There are many other advantages provided by CLT construction. We are starting to explore its effects on the life of the inhabitants. People are biophiles and have an innate desire for all things that are connected with nature. Wooden buildings provide spaces that reduce stress and convey a sense of calm, which is very healthy, fostering concentration and facilitating restful sleep. Photo: Courtesy of Waugh Thistleton Architects - The Green House is the new office building of the Ethical Property Company in London. The project extends an existing block from the 1960s with a concrete base, grafting on a structure in CLT (cross-laminated timber). With what types of wood can you be creative, innovative and sustainable? All wood that is grown in a sustainable way can be used in an innovative way. Hardwood, softwood, laminated, plywood... wood is a versatile material. The different species and different types of engineered wood have different properties and can play various roles inside buildings. 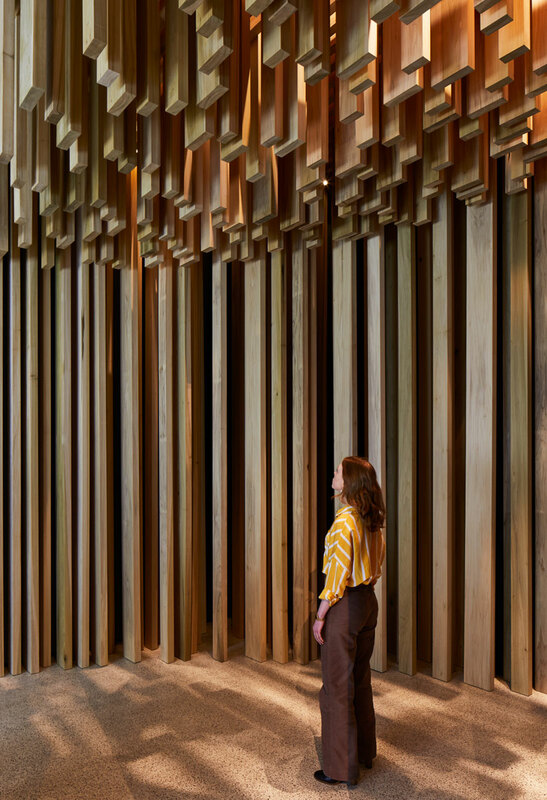 For example, American tulipwood, the hardwood we have used to make MultiPly (the pavilion with a height of nine meters built with 17 modular boxes of prefabricated CLT panels, installed at the V&A Museum for the London Design Festival in collaboration with Arup and AHEC/American Hardwood Export Council), is very strong and light in weight, two characteristics that make it ideal for structural applications. Tulipwood is one of the most widespread hardwoods in the United States, and one of the most sustainable thanks to its ability to reconstruct through natural growth, though it tends to be used only to make shipping pallets, and little else: an undervalued resource. In any case, we are always on the lookout for new ways of using certified wood that can offer new expressive possibilities and also chromatic effects. The modular systems can be disassembled, repeated with different levels of standardization, involving sophisticated geometric arrangements and with a wide range of choices for personalization. Something like what happens in the auto industry. How do the organization and timing of the worksite change in this approach? Building with engineered wood can be quick and efficient, but to optimize this time factor it is necessary to modify the traditional approach. With respect to conventional methods, a higher level of coordination is needed at the start of the design process. For example, this means ensuring that all the openings in a building specified on a compositional level can be cut and shaped on numerically controlled machinery at the factory, reaching the worksite in the form of panels for immediate assembly and perfect positioning. As a result, it is no longer necessary to wait for the entire structure to be completed before you begin to work on the internal finishing. Arup is an independent firm of designers, planners, engineers, consultants and technical specialists, working across every aspect of today’s built environment. Arup's main objective is helping clients to solve their most complex challenges, turning exciting ideas into tangible reality and trying to shape a better world. 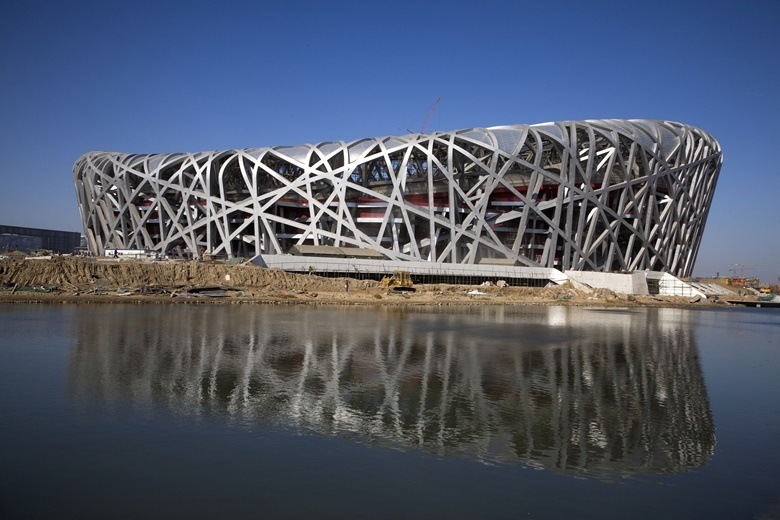 Arup made its name in the twentieth century as the designer and engineer behind some of the world’s most ambitious structures. Today, Arup employs more than 14,000 people, in more than 34 countries, in a culture underpinned by Sir Ove Arup’s aims and values. Excellent. But don’t you think there are still prejudices regarding the idea of living in a wooden house, because people think it is less safe and secure than concrete? I don’t think so. Just look at the traditional Japanese buildings that have survived for centuries, in spite of earthquakes. Furthermore, engineered wood stands up to flame: in case of fire, the charred layer that forms on the surface protects the remaining material from heat. I live in a seven-story building made of wood, and I feel completely safe. 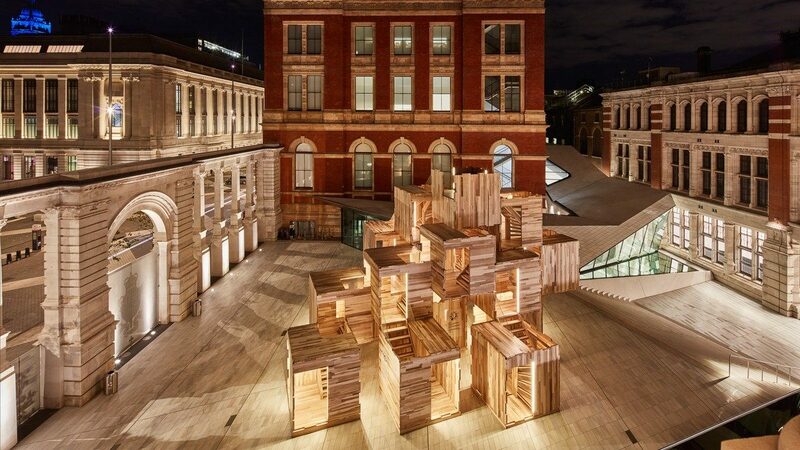 Presented in 2008 by American Hardwood Export Council and Sir David Adjaye, is one of seven projects presented in David Adjaye: Making Memory at London Design Museum. AHEC (American Hardwood Export Council) is the association that represents American hardwood producers internationally. American Hardwood Export Council is at the forefront of the international promotion of hardwood over 25 years, successfully developing a distinctive and creative brand for American hardwoods. 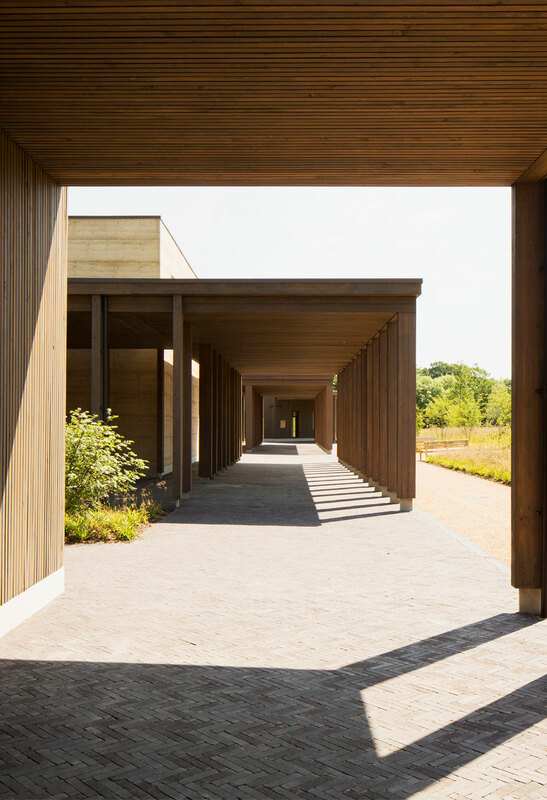 AHEC's global program ensures a future for American woods by demonstrating the performance and aesthetic potential of these sustainable materials, while also providing a valuable inspiration.